The FIFA World Cup is just around the corner, and we can't miss this opportunity to share some news about it! 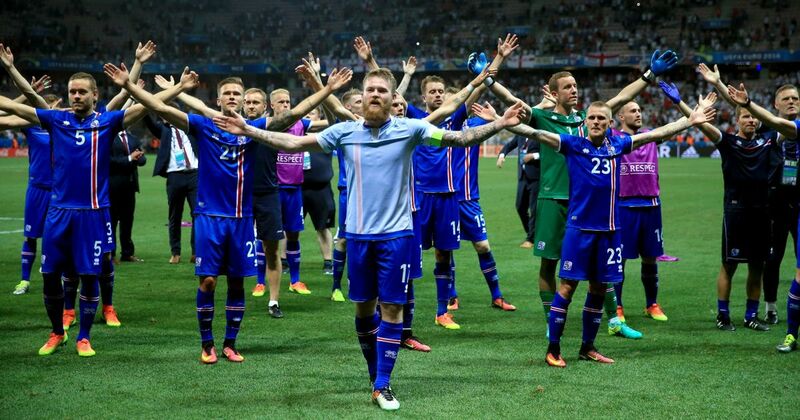 Iceland has become the smallest nation to ever qualify for such a huge event as the FIFA World Cup finals. What is the key to this success? You might have heard the oft-told tale of the role that indoor pitches have played in the footballing success Iceland has experienced over recent years. Alongside the emergence of highly educated coaches, these facilities have been viewed as key to the team's historic achievements - and rightly so, to some extent. But while players being able to train all year round indoors is a highly important development and not to be underestimated, it is worth pointing out that none of the players in the probable starting line-up against Argentina are a pure breed of these indoor halls. Burnley’s Johann Berg Gudmundsson comes the closest, having had the opportunity to play indoors from the age of 12. But even his indoor playing-time was limited since time-slots were usually allocated to the advanced and adult players. As a result Gudmundsson, like the rest of his team-mates, spent his formative years training outdoors, in every kind of snowfall imaginable, on frozen gravel pitches, or in the famous Icelandic horizontal rain. not be the technique he developed within the football halls that La Albiceleste will need to worry about. The challenge will be in facing the unity found in the core of this Icelandic group, Iceland’s golden generation of players born in 1988-1990, that has spread throughout the whole squad and made the Iceland the 22nd strongest team in the world. Seven players from the team that qualified for the UEFA European Under-21 Championship in 2011 played a decisive role in Iceland’s qualifying campaigns for the EURO in 2016 and the World Cup in 2018. Eight players from that same team that qualified in 2011 are in Iceland’s 23-man squad in Russia. These players have been successful together for more than eight years and know the key to that success. They are an organised, disciplined team that play with an organic understanding and a fighting spirit that has been developed in over sixty types of snow. “Our togetherness," says defender Kari Arnason, "is something we can feel out on the pitch." Let us support our fantastic dream team on 16 June against Argentina! Knarr Maritime wishes all the players a lot of luck and joy in the upcoming match!